The movie world has lost one of it's best British actors this week with the passing of 64 year old Pete Postletwaite. The 2004 OBE awarded actor passed away peacefully in hospital after losing his ongoing battle with cancer. Pete was a stable-mate of many a famous movie including, to name but a few - In the name of the Father, The Lost World, Inception, Clash of the Titans, Solomon Kane, Alien 3, The Omen, Aeon Flux, Romeo + Juliet, Dragonheart, The Usual Suspects and many many more. He was once described by Steven Spielberg as "probably the best actor in the world today". It's always very sad when we lose an actor we've watched for many years in movies and on TV and Pete will certainly be sadly missed. 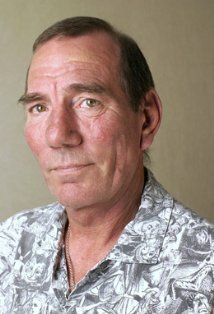 R.I.P Pete Postlethwaite. 1946 - 2011.